It turns out that this was actually my book, bought and studied as an undergrad, which KJM has kept on her shelf all these years (along with my childhood copies of Alice in Wonderland, Jane Eyre, et al) – how sweet! 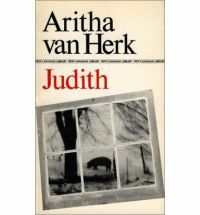 I’d remembered that I’d loved van Herk’s The Tent Peg when young(er) and (more) impressionable, and this is quite a good novel for what it is: late 1970s, smart young woman obsessed by dead dad and ex-bf-boss heads back to Central Alberta to raise pigs. As with an earlier read, and many others over the years, it’s an example of the feminism of women focussed on their men; the heroine of course gets laid by the best man around at the end of the novel. But it’s not a bad book, and Judith makes quite a fine Sow Witch.